Susan Corson uses simplicity to define luxury and elegance. Her design is always current yet classic, providing a stylish interpretation of all forms from Modern to Traditional, using the finest quality materials and workmanship to create beautiful surroundings. Client involvement is encouraged during the creative process ensuring that the final design fits each personal vision and aesthetic. Drawing upon her background in fashion and photography, Susan produces a unique visual sensibility. 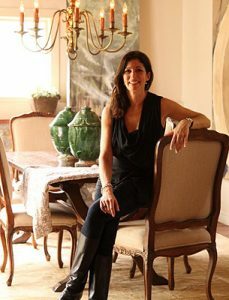 Founded in 1986, Susan Corson Designs has earned a reputation for honesty and integrity resulting in a loyal and repeat clientele. Her practical steady nature, professionalism and communication skills assure a smooth and satisfying design process. Susan is an Allied Member of ASID.